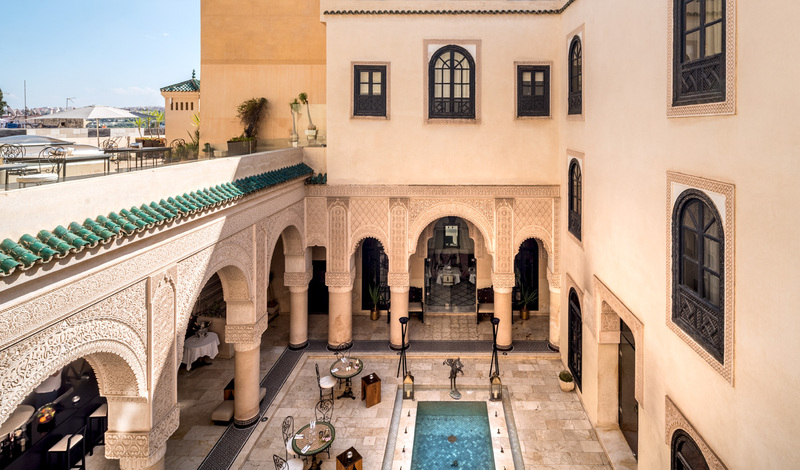 In the north-eastern corner of Morocco is where you find Riad Fes, perfectly positioned in the country’s most cultural city. Vibrant souk’s and medieval architecture create a unique old-world atmosphere in the city. Riad Fes compliments Fes through a traditional feel and with just 21 suites available its ambience is intimate and opulent. This Riad has stunning roof terraces where you can refresh and relax whilst overlooking this antique city. Tucked in the north-eastern corner of this north-eastern city a mere 20km from Fes Airport is where you find this grand Riad. Explore the surrounding streets of Fes and you are guaranteed to stumble across the traditional souks where you will find talented craftsmen, impressive carpets and an ancient way of leatherworking. Traverse this medieval city by foot or horseback before retreating to your majestic palace. 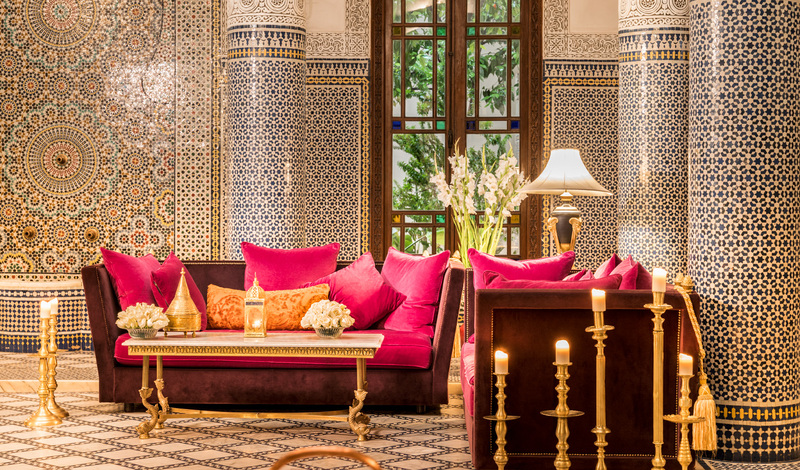 Each of the 21 rooms is individually styled in a Moroccan Andalucian manner. Your suite offers stunning views of the sunset across the ancient city from your private terrace every night. The contemporary yet incredibly cultured style is unlike no other with architecture sparkling the room; something will catch your eye everywhere you look. There are a number of reasons why Riad Fes is an amazing experience. Hammams and massages, fountains, smoking-rooms, sophisticated cuisine and a trendy lounge bar: this is a world where traditions and contemporary conveniences combine delightfully.